Nadine Ye, WHNP, is a women’s health nurse practitioner and a certified nurse midwife who brings a wealth of experience and a personable nature to the team at Chula Vista OB/GYN in the greater San Diego area. Over more than 15 years in practice, Nadine has perfected the caring and compassionate approach she brings to every patient interaction. Nadine began her studies at Universidad Autonoma de Baja California in Mexico. Once in the United States, she earned her Associate’s Degree in Nursing from Grossmont College in El Cajon, California. She went on to complete her Master’s Degree in Nursing at San Diego State University. Any visit to an OB/GYN should be an opportunity for a woman to focus on her own health and wellness in the midst of a demanding and busy life. To that end, Nadine works to build relationships with the women in her care, and takes time to listen to their needs and help them find the best path forward. Among Nadine’s strengths are prenatal care, breastfeeding support, and family planning services. She’s also certified in Nexplanon implantation and removal. She is passionate about the role that well-woman exams play in overall health and wellness, and encourages women to ask questions and express concerns during their annual visits. 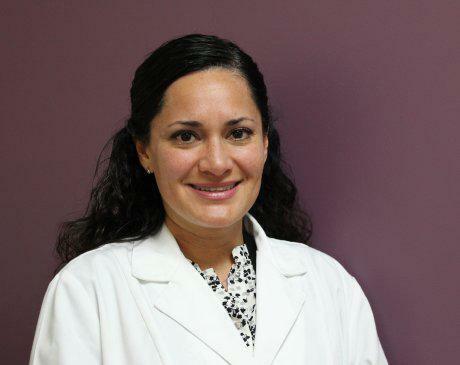 A great nurse practitioner is an asset to any OB/GYN practice, and Nadine is no exception. In partnership with Dr. Levine, she serves an instrumental function at Chula Vista OB/GYN and is proud of the difference she’s made in the lives of so many. To meet Nadine and learn more about her impressive combination of experience and customized care, schedule an appointment today.